Wonder Around is a joint effort of the Hungarian Jewish Museum and Archives and Moholy-Nagy University of Art and Design’s TechLab to make a long forgotten, hidden gem available to the greater public all around the world. This is a project based on interactive spherical panoramas. I made the photos on the cemetery, collected the in PTGui to spherical panoramas, added panoramas to EasyPano Tourviewer and designed the interface. 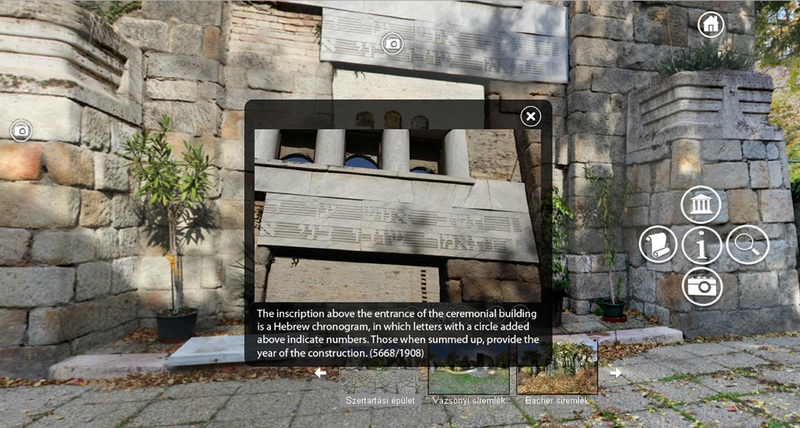 The multimedia elements in virtual tour provide real-time vocal, video and textual presentation. Through Thumbnail, we got a preview of each switchable scene in virtual tour. Popup window are able to pop up detailed explanation and instruction when necessary, in the tour, we could popup windows, images, texts and links and other necessary contents. Adding Hotspot and Button in virtual tour not only made scenes interactive, it can easily control virtual tour and present diverse contents and effects. In our case Hotspots were leading the user from scene to scene, zoom the tomb’s elements and open the archive information. 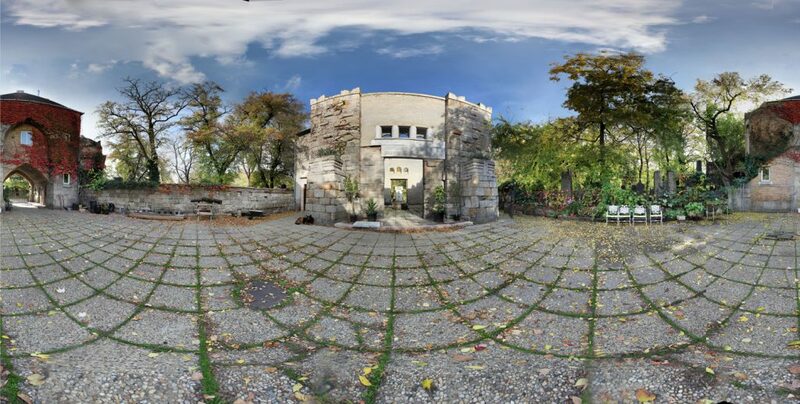 The virtual tour lets the visitor peak into this enchanted world, the old Jewish cemetery of Budapest. It is not merely interesting because of the many prominent figures of the early 20th century buried here, but because of the unique architectural values of the tombs. 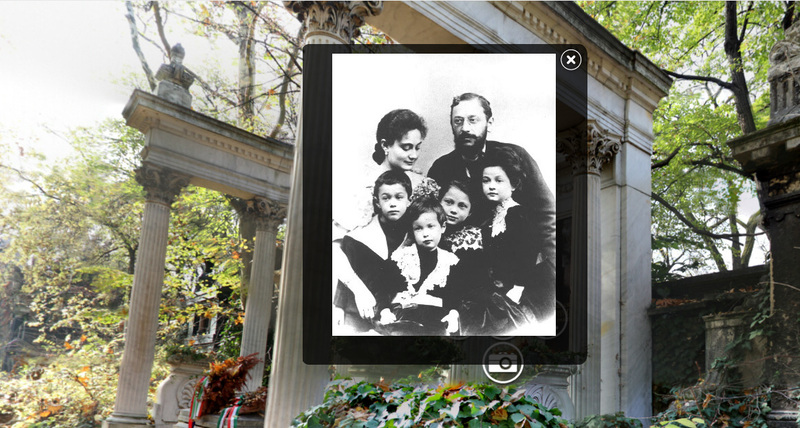 The Salgotarjani Street Jewish Cemetery is one of the finest example of the Hungarian Cemetery Art.